This maintenance free single story home is perfect for the avid traveler or folks that don't want to lift a finger for upkeep. Drought tolerant auto fed landscaping, exterior auto safety/security lighting & ring doorbell give ease to simply lock & leave. Interior boasts exceptional layout with great room, dining area, breakfast nook & family/dining combo. Upgraded kitchen with island, pantry, stainless appliances(including Bosch double oven & Wolf gas stove). Guest bath updated with mood lighting, dual vanity, stand-up shower & additional storage. Master with walk-in closets. Exterior with new patio and shady pergola. Don't forget the finished 3 car garage & the VIEW! 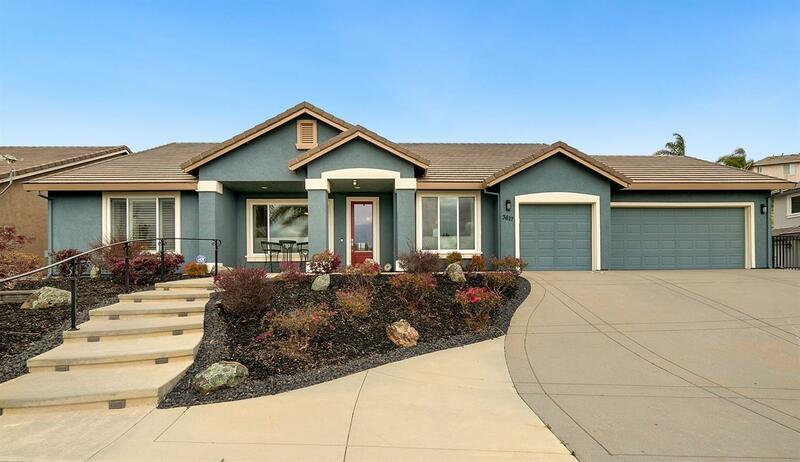 This home is in impeccable shape both inside and out.